Whether it’s a larger-than-life New York slice or a refined Neapolitan pie topped with San Marzano tomatoes and mozza, there’s something innately satisfying about a well-made pizza that’s fresh out the oven. It’s a good thing then that our city has upped its pizza game in recent years and now boasts pizzerias that rival those in Italy and America. 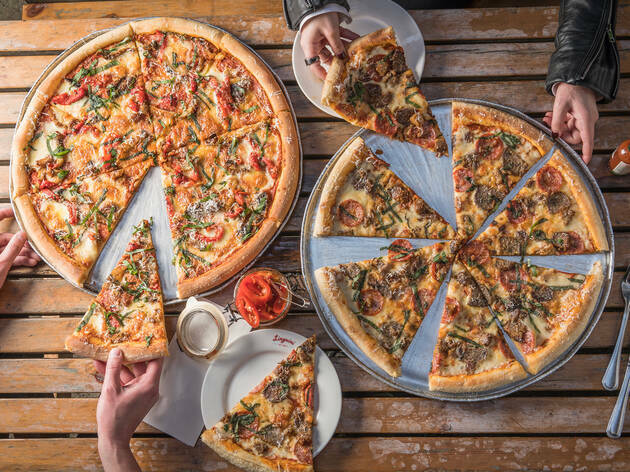 Whether you like your crust thick or thin, your toppings simple or indulgent, you’re bound to find a slice here that satisfy your cravings. Don’t believe us? 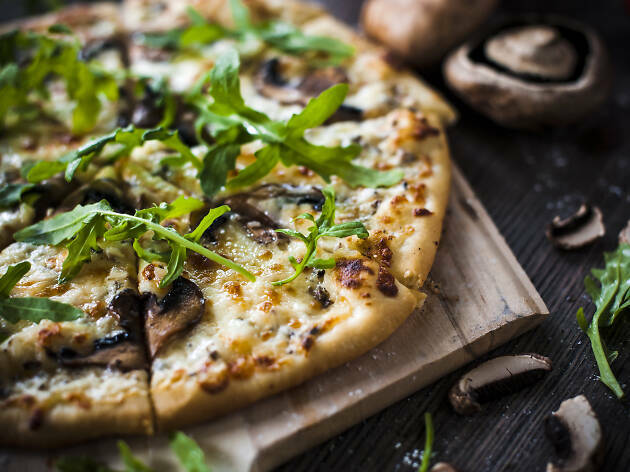 Here are the best places in town to placate your hunger pangs for pizza. 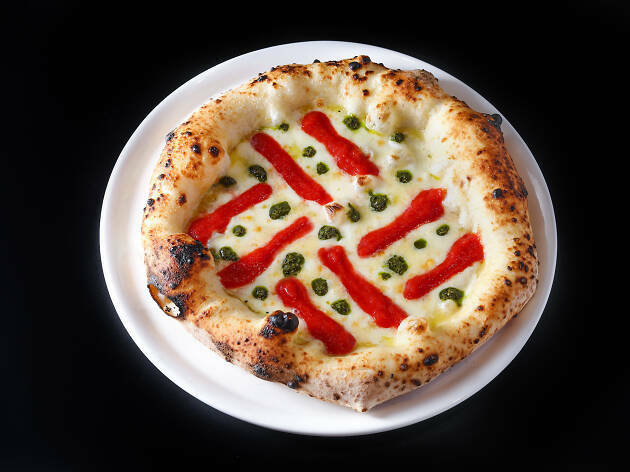 RECOMMENDED: Continue the carb fest at the best Italian restaurants in Hong Kong. 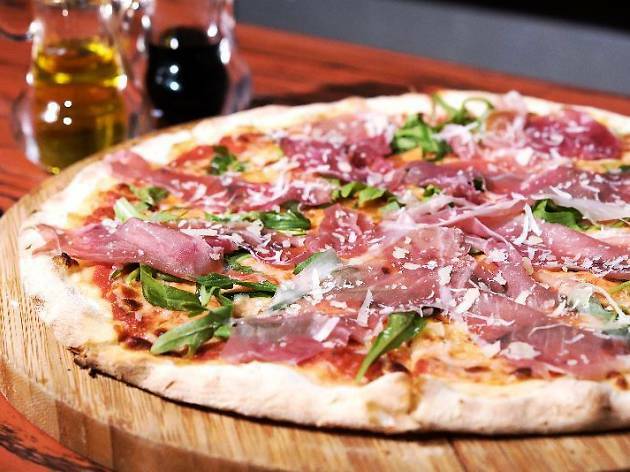 This Hollywood Road spot has been serving up rustic Italian fare for years and has never lost its status as one of the best pizza joints in Hong Kong. 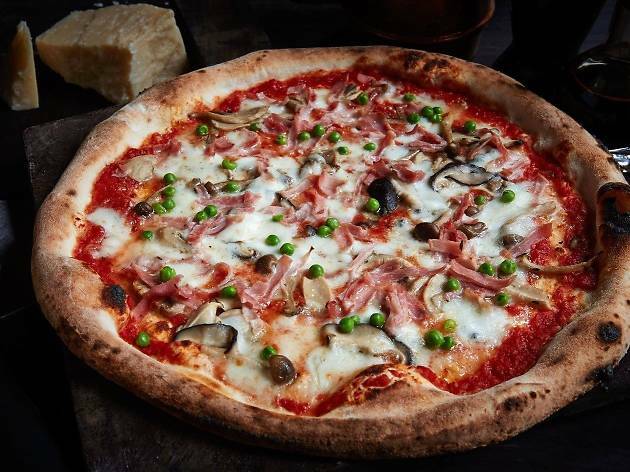 The margherita is our favourite, made in traditional Neopolitan style in a custom-designed pizza oven shipped straight from Italy. The crust is light and crunchy and the base thin. The sauce is bursting with flavour and the buffalo mozzarella is the savoury icing on top. This laid-back bar and restaurant has made a fairly big impact in the sleepy backstreets of Kennedy Town. 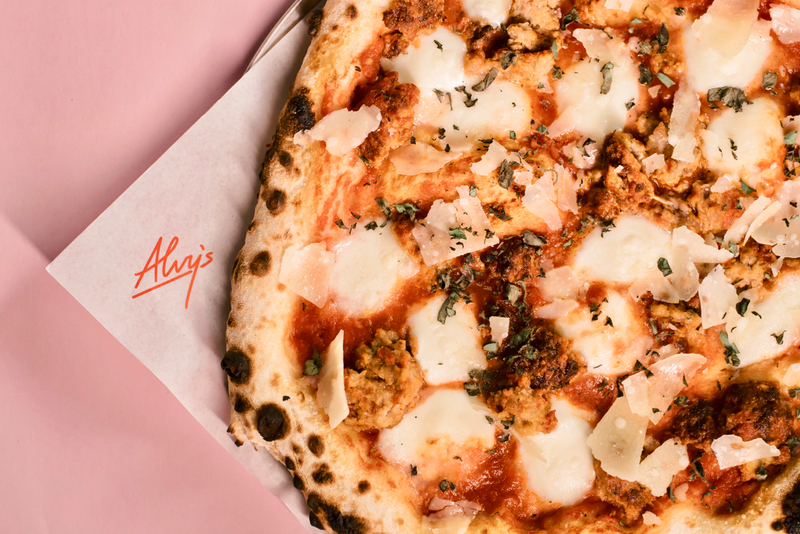 Alvy’s mixes local flair with classic, New York-style pizzas, resulting in pies that are distinctly different in the most delicious of ways. Try the Bak Gwei pie topped with gruyere béchamel, mozzarella, char siu and minced ginger. It’s so wrong that it’s bizarrely right. You’d think that this Repulse Bay resto would rest on the laurels of its beautiful setting but nay, its wood-fired pizzas are the real deal. A cold beer plus one of the signature pies topped with porcini mushrooms, buffalo mozzarella, parma ham and rocket – taken in along with the resplendent view – is a true joy. 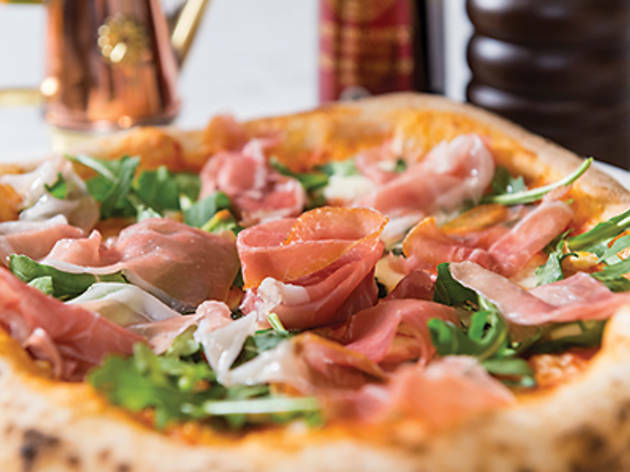 Most places selling pizza in and around Lan Kwai Fong aren’t particularly interested in breaking the mould in terms of service and pizza – they want you in and out the door as quickly as possible. Not so at this fancy, intimidatingly large mecca for all things Italian cuisine. Honestly? 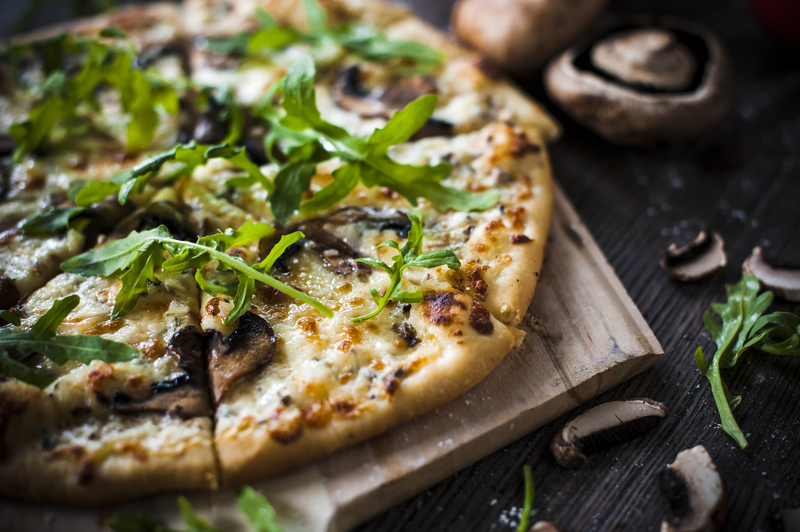 Go straight for the margherita pizza. It’s expertly made and uses the freshest basil around, which elevates it beyond the usual grease-dripping LKF alternatives. Regarded as one of the greatest pizza-masters in the industry, Franco Pepe has brought his Geneva-based brand to Central. What sets his pizzas apart is the dough. Made of 70 percent water, it’s billowy and blackened in spots, soft within but with an almost mochi-like first bite. It's good enough to be eaten on its own, although, of course, quality toppings don’t hurt. Order the Margherita Sbagliata – an abstract arrangement of buffalo mozzarella from Campania, Riccio tomato sauce and a reduction of fresh basil, salt and extra virgin olive oil. It’s one of the simplest things you can order on Kytaly’s dough – and also one of the best. 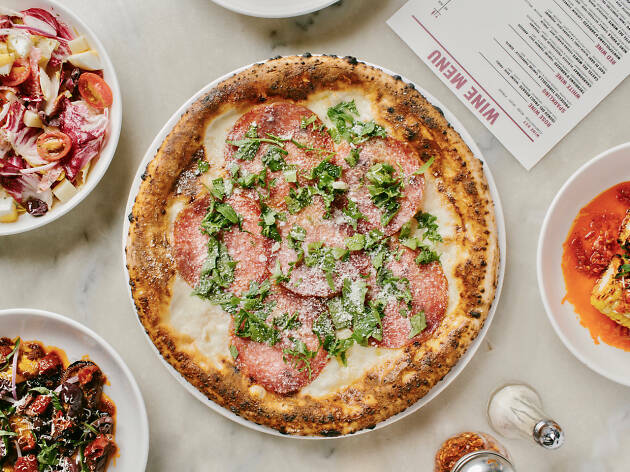 This Italian-American restaurant serves up a delicious selection of 18-inch NY-style pies, including the Brooklyn Special (fried eggplant, roasted garlic, peppers, basil and fresh mozzarella) and the meaty Bronx pizza topped with porchetta, pepperoni and meatballs. If these babies don’t satisfy you, nothing will. Tucked away in an industrial building in Kwun Tong, Little Mario’s is one of the unlikeliest of places in town to score a great slice (it also operates a branch on Park Island). 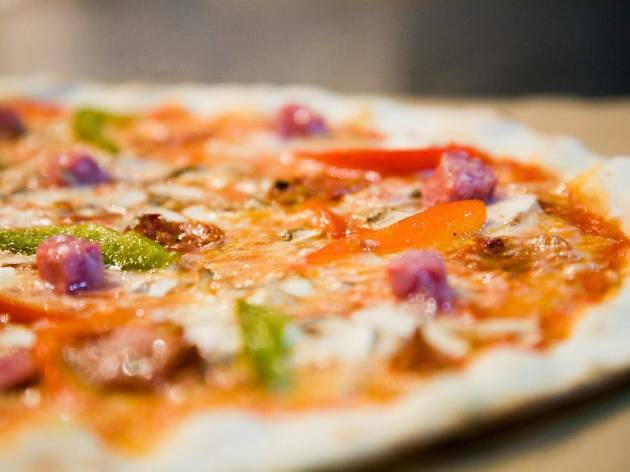 And yet it delivers – literally and figuratively – some of the best pizzas we’ve had in the city. The dough here is always made fresh using top-shelf ingredients and is baked until it crisps around the edge while retaining a satisfying chew. The classic pepperoni is the way to go here, although there are also some more creative offerings, including the chicken tikka and the bacon-topped all-day breakfast pizza. 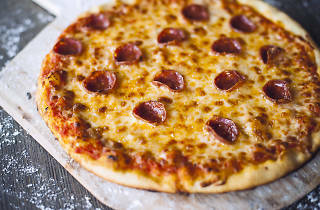 Little Mario’s offers pastas and salads too but we say stick to the pizzas. Mother of Pizzas takes the very best of the New York and Neapolitan traditions and bakes them into a single pie. 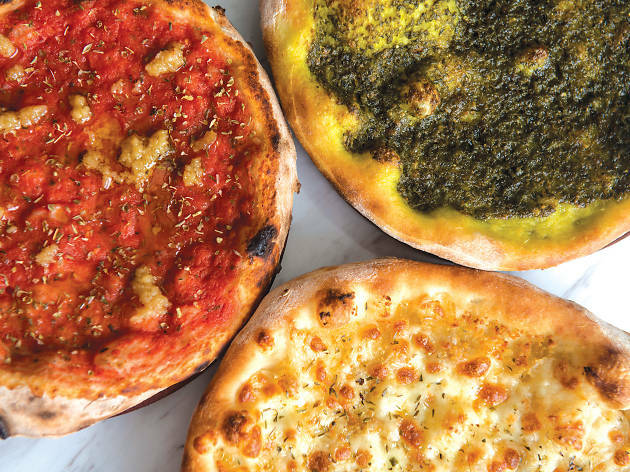 Crispy and chewy, the hand-stretched crusts here are delicately charred in places and painted with a house-blended sauce made with San Marzano tomatoes. The slices are American-sized, designed to be folded up and eaten with a cavalcade of toppings, from the Pepperoni L'Americano (mozzarella, San Marzano tomatoes, pepperoni) to the more adventurous Hawaiian Coco featuring fresh pineapple and shredded coconut. Mother of Pizzas is expanding its store and will reopen on December 24 with a larger space that accepts reservations. 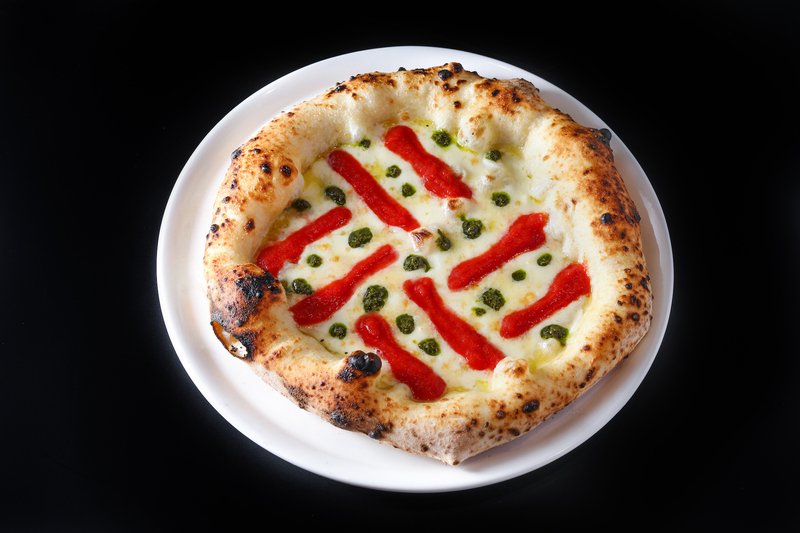 Originally from Brooklyn but serving Neapolitan pizzas, Motorino has two locations in Hong Kong, proving its cross-cultural appeal. 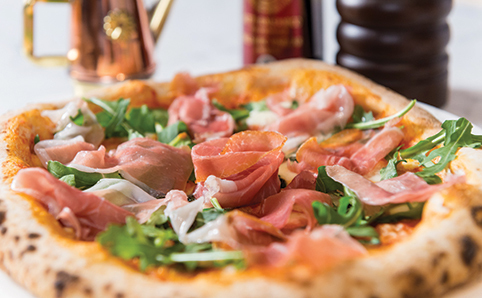 The restaurant serves up a stripped back menu of classics, including a margherita and bresaola. Try the prosciutto di parma pie. The saltiness of the ham balances out the flavours of the scorched crust and adds an extra layer to the dish. 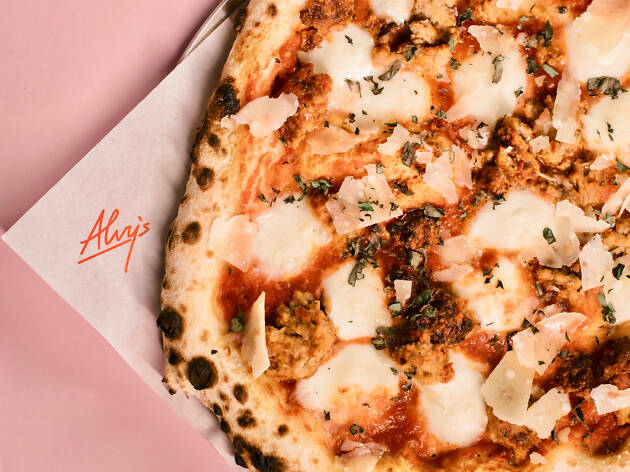 This classically leaning High Street spot takes a no-nonsense approach to pizza with generously sized, modestly topped pizzas that should please even the most discerning fan. There’s a lovely burst of fresh sweetness in the tomatoes here (that’s best enjoyed in the Fior de Latte pizza) and the lasagne is no slouch either. This small chain may not opt for the classically rustic leanings of somewhere like 208 but that doesn't mean it can't go toe-to-toe when it comes to Neopolitan-style pizza. 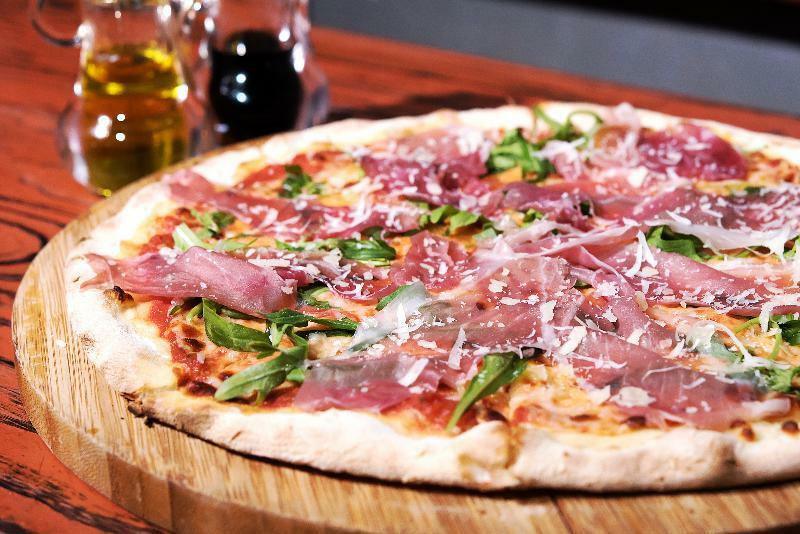 Owner Jacobo Maximiliano is an Italian native who only uses ingredients from his homeland to create his pizzas. Expect tomatoes from Naples and mozzarella from Puglia – all used to make some of the most satisfying slices in town. Notice what’s been missing so far? As it stands, we’ve only delved into the Kate Moss-es of the pizza world. 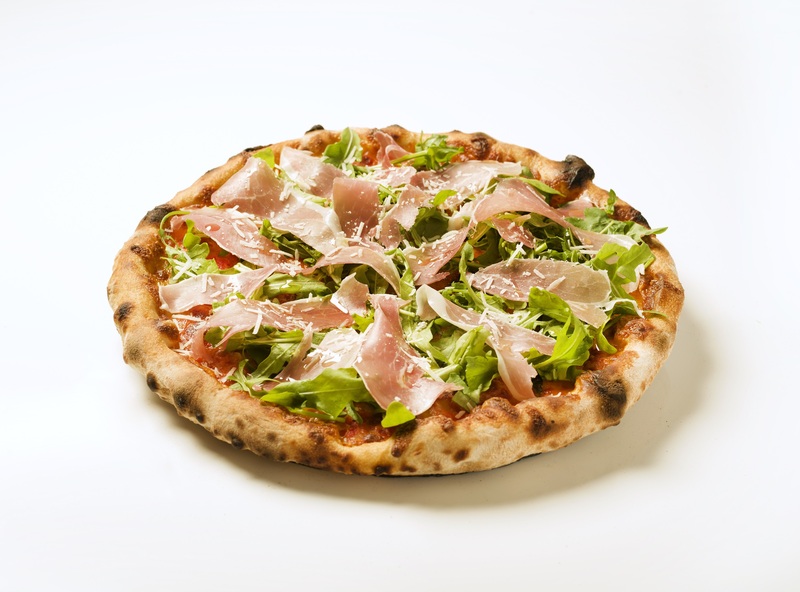 If, like us, you’re partial to a thicker specimen of pie, then Posto Pubblico’s Bronx Bomber is the pinnacle. 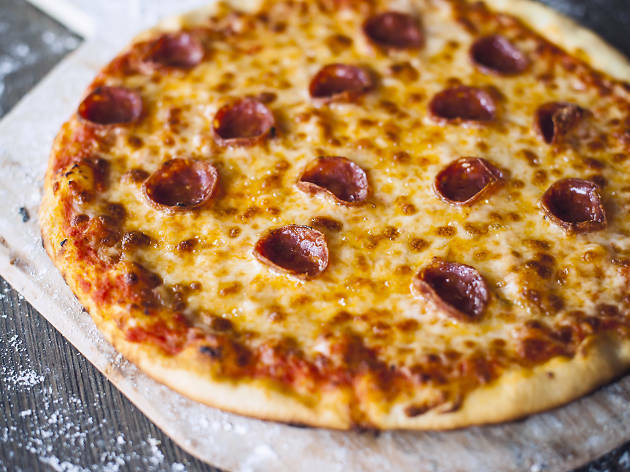 Charred and served in an iron skillet, it’s a thick, doughy beast of a pie loaded with crumbled sausage, pepperoni, plenty of mozzarella and fresh oregano. You might wish you were dead after eating it but at least you’ll die happy.